To coincide with this year’s Folkestone Book Festival, photographer Terry Smith will exhibit 25 portraits of well-known authors at Steep Street Coffee House in Folkestone’s Creative Quarter. P.D. James, V.S. Naipaul, Iris Murdoch, Richard Dawkins and Margaret Drabble are just a few of the authors included in this exhibition. Smith spent most of his career working for U.S. publications like Time Magazine, People Magazine, The New York Times and USA Today. Aside from best-selling authors, Smith photographed many leading actors and rock musicians between 1970 and 1990. Five of his portraits are held in the National Portrait Gallery’s photography collection. Now retired, Smith (72) lives in Hythe. Smith writes “When I retired as a photographer at the age of 50, I was not confident that my archive would be interesting to anyone other than myself – so it was consigned to plastic crates in my garage. Three years ago, with time on my hands, I opened those crates and perhaps now I’m ready for today’s photography buffs to appraise it. The reason I chose literary-themed Steep Street for my first public outing is that I was enjoying a coffee there one morning and realised that I had photographed quite a few authors in my day (48 actually), so it seemed the natural place to display them. “When I was a young man, I assisted many well-known photographers – among them, the legendary LIFE Magazine photographer Alfred Eisenstadt. When I embarked on my own career, Alfred gave me the advice that it is a mistake for a photographer to assume a personal familiarity with his subject, but at the same time not to be in awe of them. It was advice I heeded, and was always well aware that my arrival at their home was, to most of them anyway, about as welcome as the milkman knocking on the door for his money at five o’clock in the morning. 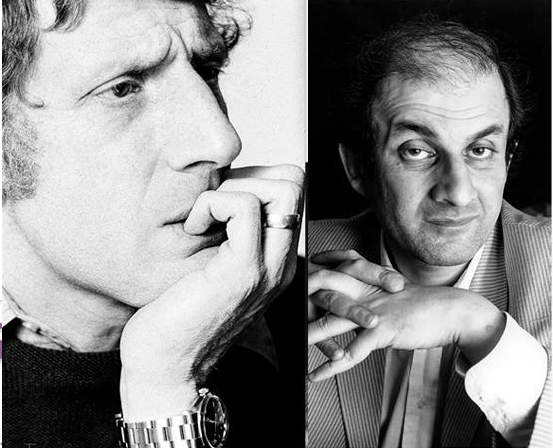 “That said, perhaps the most enjoyable assignment of the 25 shown here was the day I had with Jonathan Miller. The man is an astounding polymath who has interesting opinions on everything. Also, I got to meet Susan Sontag who arrived at his house for lunch that day. The exhibition will run from Friday 17th August to 11th January 2018. Steep Street Coffee House is open 7 days a week, 8.30am to 6pm Monday to Friday, 9am to 6pm Saturday and 9am to 5pm on Sunday.